Of the houses of Downing Street, Churchill said, “shaky and lightly built by the profiteering contractor whose name they bear.” And he was right as the original houses were not built to last. But lasted they have. No. 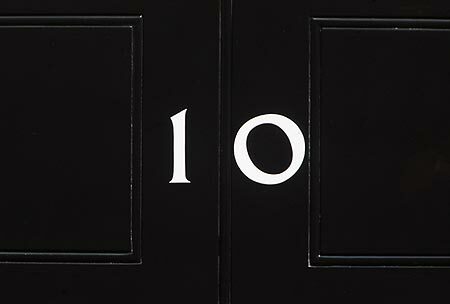 10 is of course home to the Prime Minister and No. 11 to the Chancellor but a No. 9 and a No. 12 also exist. This is fairly academic though as the buildings now form a single complex within anyway. There were originally around twenty houses and the current No. 10 was in fact No. 5 until a renumbering took place in 1779. My most recent visit gave me an opportunity to see some of No. 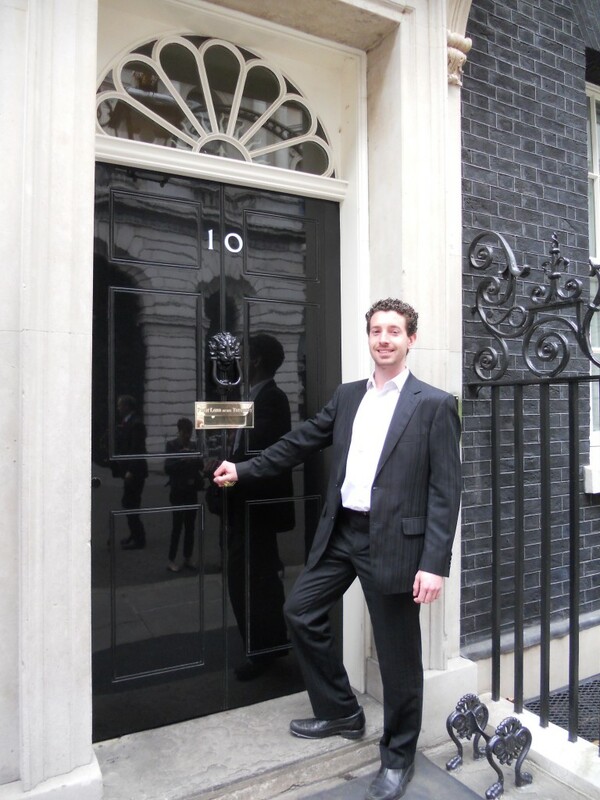 10’s most famous features up-close such as my new friend, Larry, the Downing Street cat. Larry was second to greet me, after the ever-present police officer, and did so from his perch on top of a radiator by the front door. Incidentally, the door has been made of metal since 1991 thanks to the IRA. The original is now in the Churchill War Rooms. 10 Downing Street incorporates what was once a separate mansion, Hampden House, behind. This is easy to understand once inside. One clue is a view, upon entering No. 10, to a pair of double doors some way ahead, at the end of a long corridor. The corridor is far too lengthy to exist within the footprint of the Downing house. The doors, incidentally, lead into the Cabinet Room. It is at the rear of No. 10, within what was once Hampden House, that many of the best-known rooms are located. That includes the State Dining Room, the Pillared State Drawing Room and the famous staircase with portraits of previous Prime Ministers. Everything within is to be used too and the building is no stuffy museum. Antique chairs are to be sat on and drawers to be filled. A travel chest by the front door which belonged to the Duke Of Wellington contains all manner of useful objects including Brasso, Blu Tack and a doorstop. What I like most about 10 Downing Street is the contrast between its functions as a historic edifice and a working office. Behind some doors are rows of busy workers. Behind another is, of course, the Prime Minister’s flat. But expecting to find a glorious state room behind one particularly intriguing curved door, I found Henry the Hoover.